Am Fasgadh. Formerly known as Pitmain Lodge (oldest building in Kingussie circa 1790), site of Kingussie Highland Folk Museum, now closed. There has been a great deal in the local press about the proposed community acquisition of the former Folk Museum site, between Manse Road and Duke Street, Kingussie. 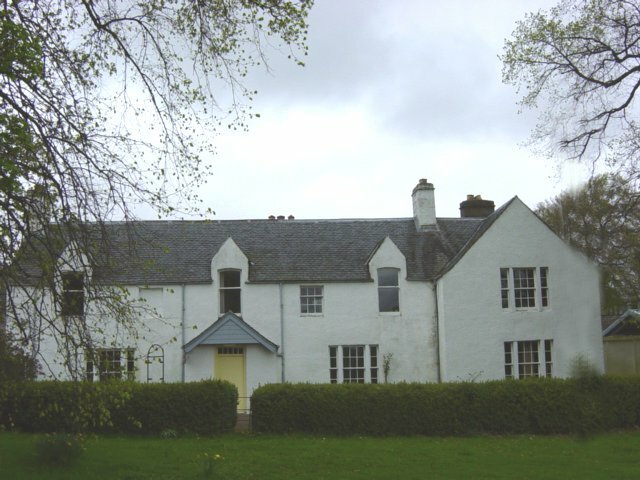 This all came about as the result of the “Our Community a Way Forward” survey carried out in 2009, where acquisition of the site and its listed buildings “Am Fasgadh” and “MacRobert House” featured high on the list of the community’s priorities. It was thought that the site could be used for a variety of community uses, including Allotments and small craft workshops, both of which also featured highly on the list of community priorities. Since the survey was carried out, a great deal has been going on behind the scenes to make our community’s wishes come true. It started with three Community councillors standing on a freezing cold High Street in sub-zero temperatures, in order to obtain the 10% support needed to enable a community right to buy application to be submitted. This took just two and a half hours. Once this had been achieved, it took months of work to produce a document running to several hundred pages which was submitted to the Scottish Government’s Community Assets branch in Edinburgh. As a Community Council cannot legally own assets, it was necessary to set up a company limited by guarantee to act as a vehicle for potential ownership. Consequently the Am Fasgadh Regeneration Company (Kingussie) Ltd – “A.R.C” for short, was born. Negotiations with the Highland Council are still on going, and we are hopeful that they will have the successful outcome that our community is expecting. We’ll keep you posted with any further developments.